Capturing those precious, early moments of your baby is one of the greatest and most beautiful parts of being a professional photographer. 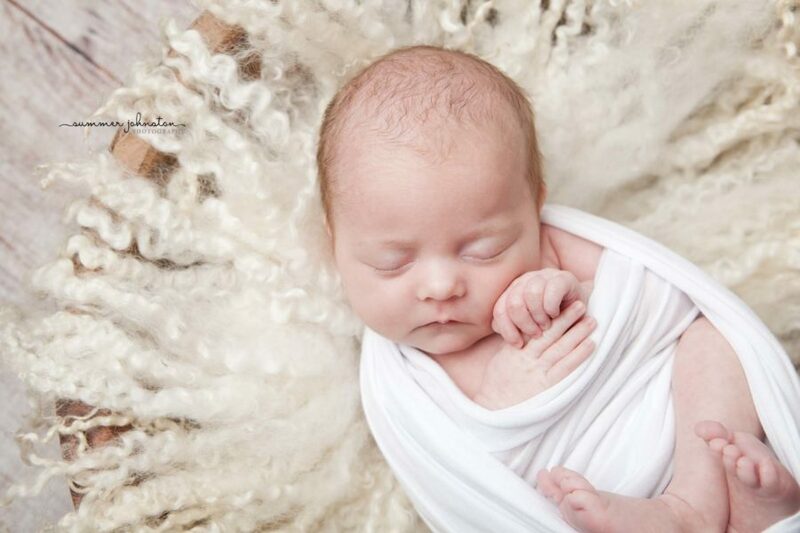 Creating exquisite, timeless portraits that a parent can cherish forever is a pure delight. Your baby is only this tiny for a very sort period of time and they soon uncurl and start to explore the world around them. Allow me to capture these precious moments for you. Newborn babies are so unique. Yet everything about them is perfect and I love to plan each session individually. 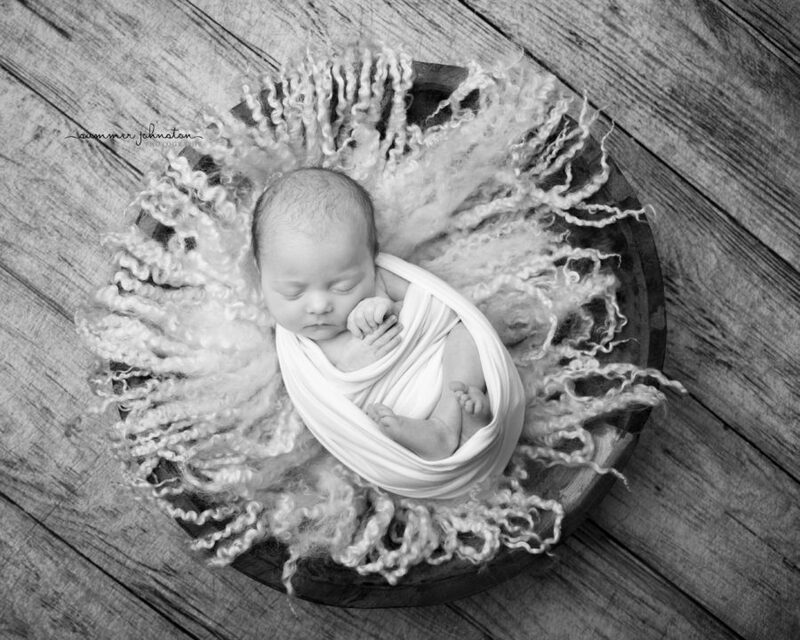 I use gorgeous props and wraps during a newborn photography session. I try to mirror the seasonal colours, and use gorgeous textures. The possibilities are endless. There are some truly amazing fabrics and props available, which is part of the joy of being a photographer. For Harriet’s session, I chose to use a lovely wooden bowl prop from one of my favourite suppliers Dutch Style who source the most amazing bowls. I then opted for some simple cream curls and a pure white jersey wrap. I advised mum what to expect prior to the session and suggested she visit my website to take a look at my work. 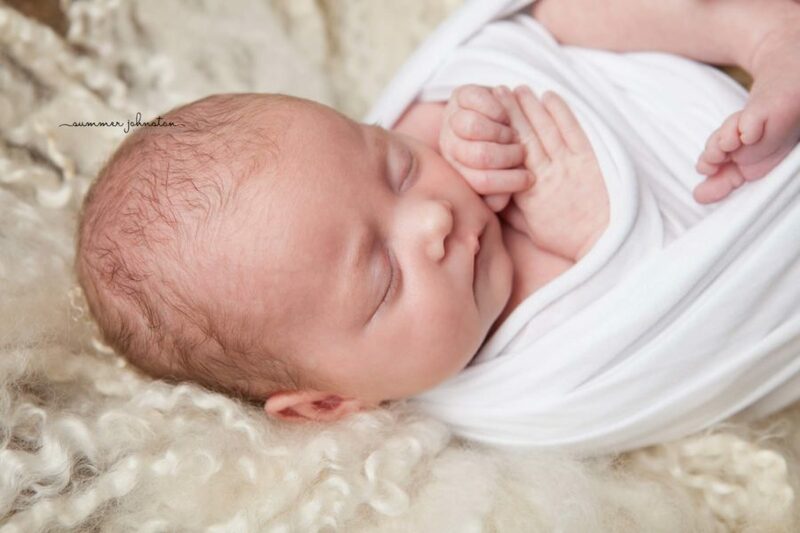 A newborn photography session is probably longer than you might think. I allow up to four hours for each session to ensure clients receive my full attention without feeling rushed. On the day of session Harriet arrived already fast asleep so I got straight into the session and she barely woke as I undressed her and positioned her into those delicious newborn poses. Lucky for me, Harriet was as good as gold and slept for most of our time together. Which also meant that mum and dad could relax with a hot drink, which is usually a thing of the past with a newborn!, and enjoy the session.